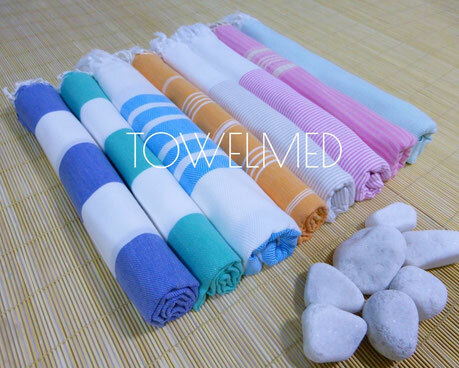 TOWELMED is Turkish towel manufacturer and wholesaler, and all types of terry cloth bath linen as hotel towels, promotional towels and more. The Turkish towel is also called peshtemal, peshtamal or fouta (in Tunisia). Our pestemal towel factory is located at Denizli, in Turkey. We manufacture all types of custom designed towels, bathrobes and blankets, we're specialist of Turkish pestemal towels and can weave custom design towels by jacquard woven technique. 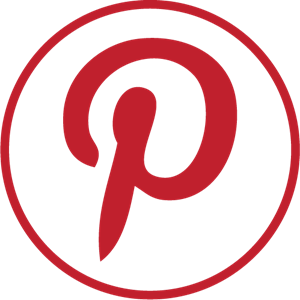 We can supply our collection of turkish towels (peshtamals) and add customization as embroidery, screen print, logo label and more if needed, low MOQ supply available. Supply of stock towels available for small MOQ. 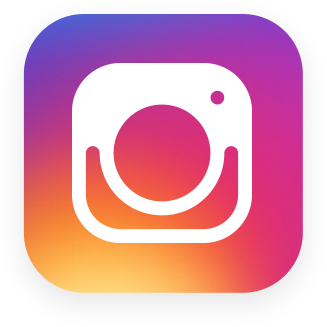 Contact us for any promotional towel project and/or ask our catalogue for wholesale Turkish towels, and if you need custom towels, bathrobes, blankets or any cotton textile request, send us all specifications for quotation. We propose small MOQ for peshtemal wholesale from our collection. Check our collection of peshtemal (fouta) towels for wholesale, beach ponchos and hammam bathrobes customizables as needed. Low MOQ for towels from our pestemal collection. 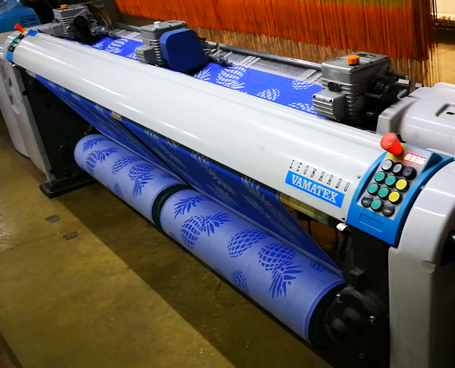 Custom pestemal hammam towel production, custom jacquard woven towel, promotional hammam towels, flat or terry fouta pestemal production, low MOQ hammam towel manufacture. 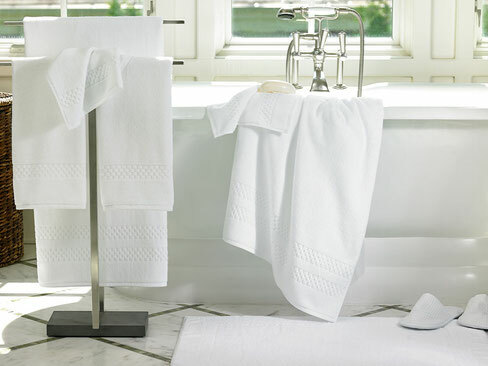 Terry cloth production, as bath towels, hotel towels, dish towels, all kinds of promotional towels and bathrobes. 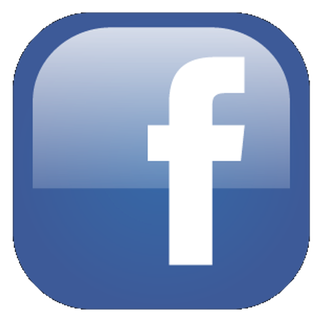 Promotional terry or cotton/elasthane headbands, hammam kese wash mitts and much more. 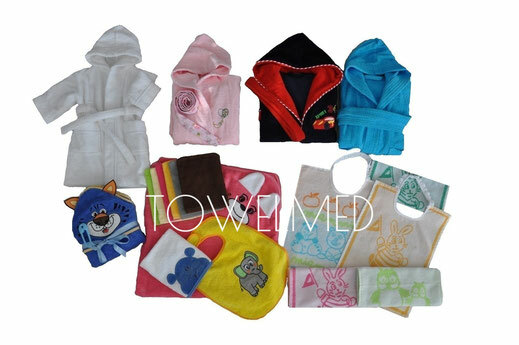 Custom production of all kinds of babys and kids bath textiles as hooded towels, bathrobes and ponchos. Manufacture of terry baby bibs, plush baby blankets and more.